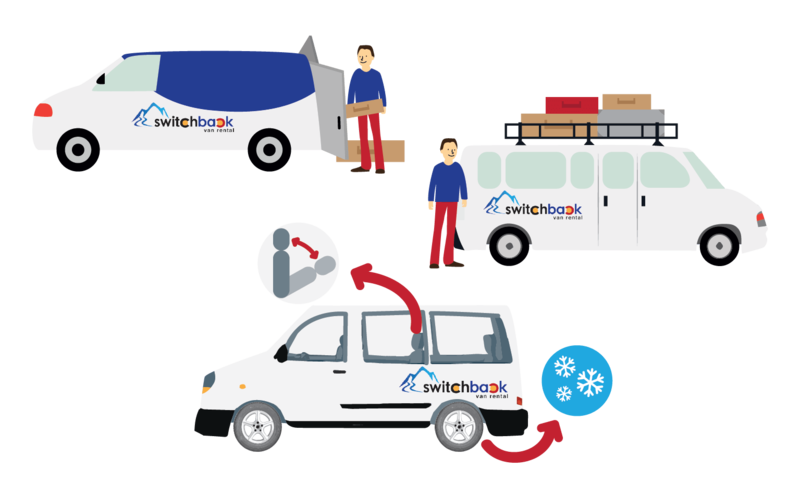 Switchback brings new meaning in the van rental world. We specialize in passenger van rentals available for pickup in the city of Denver. Our passenger vans are part of our Denver van rental fleet. We work with many Denver area hotels to arrange easy pickup of your rental from our downtown Denver lot. During the winter months pickup is available in Vail and Breckenridge too! Need more space? Have tons of gear? You can rent our vans and remove seats if needed to provide more space inside for gear. You can fit more bikes, skis, or gear of any type with benches removed. Our service specializes in passenger vans of all sizes. 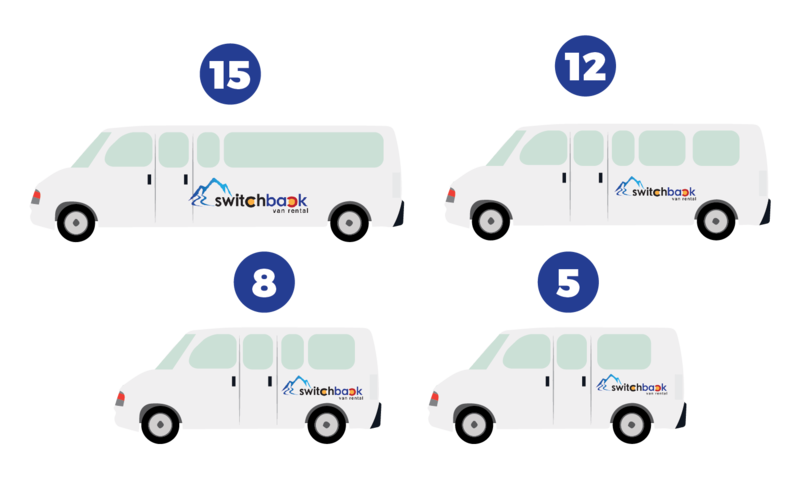 The majority of our fleet consist of 15 passenger vans however we offer 12, 8, and 5 passenger vans as well. Passenger vans are special as they allow you to customize space for however your group chooses. Unlike normal SUV our passenger van rentals allow you to carry high passenger load with a cargo load! Our fleet is currently growing rapidly so be sure to check in frequently for new additions. We will be adding some sweet 5 passenger cargo vans which allow you to move tons of cargo and still have room for 5. Also, keep an eye out for our Sprinter Vans coming soon! Our goal is to make it as easy as possible for your group to pick the vehicle it needs when it needs it.